Tuscan Cliffs Las Vegas luxury homes in Southern Highlands real estate will have a 20 acre sports park very soon. Tuscan Cliffs homes is an enclave of semi-custom luxury homes for sale in a guard gated neighborhood by Pacific Southwest Development. The real estate near the park has land for an elementary and middle school. 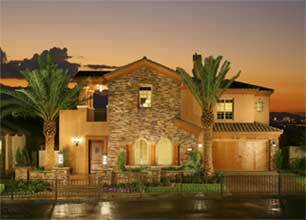 Tuscan Cliffs home sites in Southern Highlands guard gated community in Las Vegas, Nevada have become available. These Pacific Southwest customizable home sites in this Las Vegas master plan measuring up to a half acre. New home buyers can choose a floor plan for a particular piece of Southern Highlands real estate. With 50 configurations of design and architecture allow a truly customized luxury home. Tuscan Cliffs Las Vegas luxury homes for sale in Southern Highlands real estate is near completion of its second phase of sales. 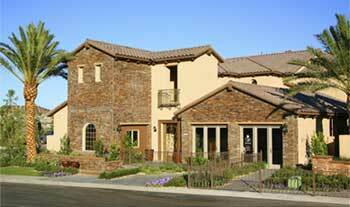 Tuscan Cliffs homes are located within the guard gated community of the Southern Highlands Golf Course Community. Construction for these new homes in Las Vegas, Nevada real estate for the first building phase is near completion. There have several new home residents living in the Southern Highlands luxury homes. Construction is underway for phase two of the gated community. Tuscan Cliffs Las Vegas luxury homes in Southern Highlands real estate offers fantastic outdoor living areas. Tuscan Cliffs homes are in a guard gated community. A summer kitchen in these beautifully appointed Las Vegas luxury homes is one of the most popular rooms. The summer kitchen features a sitting area and a functional kitchen. Las Vegas home buyers can include in their summer kitchens built in grill, microwave, multi burner gas cook top, wine refrigerator, refrigerator and a sink. The Villa De Gabriella Tuscan Cliffs home floor plan offers a beer tap option. These homes for sale in Southern Highlands Las Vegas have an expanded covered patio housing a summer kitchen. Especially during the spring and fall, enjoying a meal outdoors can be a great change of pace. Radiant heat used outdoors can allow use into the winter months.